Are you ready for World Lyme Day? Are you even aware that it’s taking place? The sad thing is that there are many people out there that don’t know about this very special day in the calendar. A day to raise awareness of Lyme disease. A debilitating disease that’s transmitted by an infected tick. When is World Lyme Day? World Lyme Day takes place on May 1st 2019. The mission – to raise awareness of Lyme disease worldwide. May 1st marks the beginning of Lyme Disease Awareness Month. It’s an opportunity to spread awareness to help prevent the spread of disease. What action can you take? Well, anything really that can help get the word around. Whether it’s wearing a bright lime coloured t-shirt or participating in the ‘Take a Bite out of Lyme’ challenge. If you’re participating, why not send your photos from your challenge to our Facebook page? 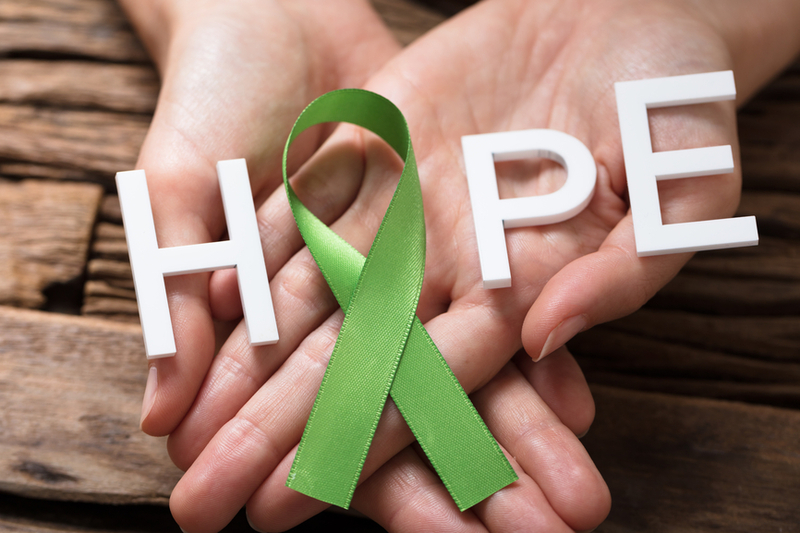 What can you do for Lyme Disease Awareness Month? You can continue to spread awareness of Lyme disease in any way you know how. And remember, it’s not just May that we should be doing this, it should be ongoing. Still not actually sure what Lyme Disease is? Lyme disease is caused by the bacterium Borrelia burgdorferi and is transmitted to humans through the bite of infected blacklegged ticks. Typical symptoms include fever, headache, fatigue, and a characteristic skin rash called erythema migrans. If left untreated, infection can spread to joints, the heart, and the nervous system. Lyme disease is diagnosed based on symptoms, physical findings (e.g., rash), and the possibility of exposure to infected ticks. There are steps you can take to make sure you are protected from ticks. Wear the right clothing if entering into a habitat that is likely to have a tick population (wear light-colored protective clothing. Tuck pant legs into socks). Use a reputable repellent and make sure you do a thorough tick check on your body immediately after being exposed to ticks. And again, share the knowledge about ticks, because awareness leads to prevention! The post Take Part in the Take A Bite out of Lyme Challenge appeared first on Backyard Bug Patrol. Spring has sprung! There’s a great sense in the air of new life and nature. Colors are starting to become bright and beautiful, the weather is warming up and there’s more of a ‘spring’ in our step. But hold on a second! Spring is obviously a time to rejoice, but there are also a few things to be mindful of too, like the increase in the tick population for starters! Tick season is here. Spring is in the air! Such a wonderful time to be outdoors with the newly blooming flowers and the not-too-hot, not-too-cold weather. Unfortunately spring also brings out some unpleasant companions like ticks. Besides the yuck factor of having some bug sucking out your blood, ticks also carry disease. Oregon has 3 types of tick borne disease although Lyme Disease is probably the one you hear about most. It is a pretty nasty bacterial infection that starts out with flu like symptoms of fatigue, headache, fever and maybe a bulls eye looking rash. We all want to spend more time outside when the weather gets warm. Enjoying time with family, friends and our four-legged friends. However, are we taking the threat of ticks seriously enough when we step out the front door? Have you thought about tick prevention? Perhaps you got on board early this year by making sure your home is protected with a barrier spray, to stop these critters getting in. We hope that you enjoy a pleasant change in the weather. If we can be of service to help you feel safe from ticks, then contact us today! The post Spring is the Start of Tick Season appeared first on Backyard Bug Patrol. The result of a mosquito bite can be extremely irritating. But that’s the least of your worries because mosquitoes not only leave you with an unbearable itch, they can also pass on diseases. Some of which are deadly. So how do mosquitoes pass on disease? What is it about their bite that makes them so dangerous? What happens when a mosquito bites you? Mosquitoes use their needle-like nose (or you could argue ‘mouth’) to penetrate the skin when they feed. It’s only the females that bite because they need blood to be able to lay their eggs. Here’s a useful video as to how a mosquito might be feasting upon you if you’re not protected. How many times does a mosquito bite you? Have you discovered one mosquito bite? Then another? Then another? This is because that very same mosquito may have not had enough blood from just one bite. Mosquitoes can drink up to three times their weight in blood, so she may have just taken a ‘breather’ before going back for a second or third helping! How do you know if a mosquito has transmitted disease? If you feel unwell, and you think it may be the result of a mosquito bite, then it’s advisable to seek medical assistance. The following article gives an overview of some of the most common mosquito-borne diseases and the symptoms you might identify. Mosquitoes are one of the deadliest animals in the world. Their ability to carry and spread disease to humans causes millions of deaths every year. In 2015 malaria alone caused 438 000 deaths. The worldwide incidence of dengue has risen 30-fold in the past 30 years, and more countries are reporting their first outbreaks of the disease. Zika, dengue, chikungunya, and yellow fever are all transmitted to humans by the Aedes aegypti mosquito. More than half of the world’s population live in areas where this mosquito species is present. Is anywhere safe from mosquitoes? As the above article mentions, more than half the world’s population will have some form of mosquito species present. Some of them more dangerous than others. Mosquitoes like the heat, but that doesn’t mean they don’t exist in parts of the world with a cooler climate. There are five parts of the world where mosquitos don’t live. This seems like useful information, though unfortunately (and obviously), they’re not exactly centers of commerce and culture. Jobs are scarce, for example, in Antarctica. But for those who dread the high-pitched whine and red lumps that accompany summer evenings, here’s a quick snapshot of each of the four places on earth where mosquitos are not found and people are. Unless you wish to uproot to somewhere more remote, then we would suggest that you ensure you are up to date and ‘in the know’ with mosquito prevention methods. We can keep ourselves safe from these killer critters. Every effort to protect your health is worth it. The post Mosquito Bites And What To Do With Them appeared first on Backyard Bug Patrol. After a very wet winter with record rainfall and warmer temperatures, there’s been a noticeable increase of moisture in the air. This moisture is exactly what ticks need to thrive which means that ticks are ready to get active earlier than usual! Tick season is here! A warning for pet owners about a tick(ing) time bomb that could be in the backyard or at your favorite park. After a wet winter and early spring, experts are predicting an extremely heavy tick season. Veterinarian Kelsey Walker, with Avery Animal Hospital in Hilliard, said they’ve already seen them on a few clients. These critters like to lurk in your back yard, so now is the time to make sure you’ve got adequate tick control in place. What steps are you taking to protect yourself from ticks? Here’s a useful article that provides additional tips on how to stay safe. And a reminder that ticks are not just here in the United States, they are a problem in the U.K too. Warmer weather is officially on the approach – and as we wait for the summer months, members of the public are being warned to keep an eye out for ticks. Gardening experts BillyOh.com are urging the public to take care when they are out and about, due to a dramatic increase in the number of ticks in the past 10 years. All of us need to make our contribution to a safer environment when it comes to ticks. Not only can they transmit dangerous diseases to us humans, but they are also a severe health risk to our four-legged friends too. Let’s enjoy the warmer months with a little self-assurance that we’ve done all we can to protect ourselves, our children and our pets. The post Early Start to Tick Season appeared first on Backyard Bug Patrol. Some people are unlucky enough to be bitten by mosquitoes more than others. If you’re one of the unfortunate ones, there are a number of reasons why these pesky, disease spreading pests are more attracted to you than someone else sat right next to you. So what can you do to make yourself unattractive to mosquitoes? There are a few things that tantalise a mosquitoes tastebuds. One of those is carbon dioxide, so if you like to exercise a lot then you might want to make sure you wear adequate repellent. As you exercise you of course breath heavier and therefore produce more CO2. Mosquitoes are going to find you appetising. So if you are going to all that effort to live a healthy lifestyle with exercise, then don’t waste it by exposing yourself, unprotected, to mosquitoes. If you are exercising you’re going to sweat! Yes, and this makes you even more of a target. Studies show that mosquitoes love a bit of perspiration too. Lactic acid was identified decades ago as one of the important signals in human sweat for drawing mosquitoes. But until now, it was not clear how mosquitoes perceived it. Of course, you don’t need to exercise to produce sweat. Going about your everyday life can be enough to cause perspiration. Do mosquitoes like you because of what you eat? It’s been known that mosquitoes like beer! Not directly of course, but through your bloodstream. So if you’re a beer drinker then you might want to take heed. Rich foods that are high in potassium or salt are also appetising to them, so those bananas and avocados may taste delicious to you, but they do to a mosquito too! Believe it or not, dark clothes or anything that’s really bright will draw attention to a mosquito. So you want to make sure you’re in light colours like khaki or beige or even white. You also want to make sure that your skin isn’t exposed without a good mosquito repellent. What should you do to be unattractive to mosquitoes? As we mentioned earlier. Wearing repellent at all times will be a great help in keeping these tiny beasts at bay. 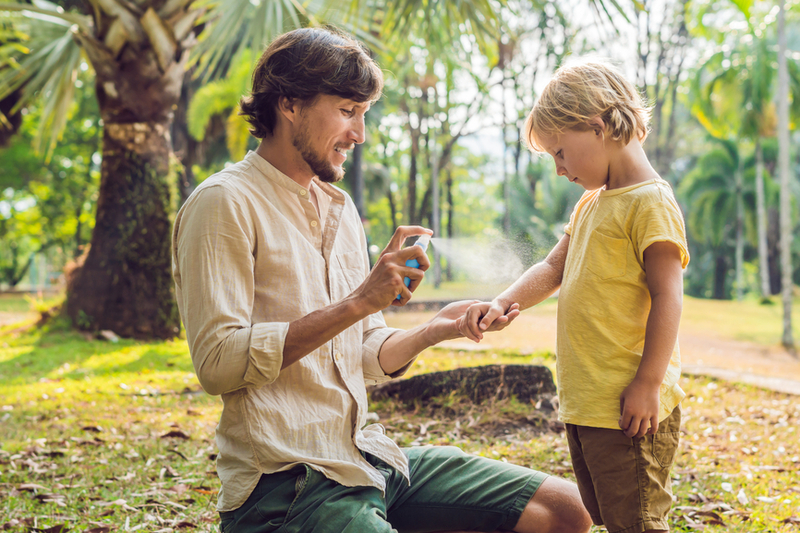 If you want to spend time outside in your yard, then you might want to consider a yard spray too. After all, it’s that time of year when we are starting to think about dining alfresco. It would be nice to do it without the ‘buzz’! The post How to be Unattractive to Mosquitoes appeared first on Backyard Bug Patrol. 2018 was a year of excessive rainfall in the Northeastern United States paired with warm temperatures. The impact of climate change has been increasingly evident over the last few years, changing the seasons, killing crops and harming a myriad of species. However, there’s one type of critter that has been thriving and that’s the blacklegged tick. The little sucker that’s responsible for the transmission of Lyme disease. A mild winter coupled with an excessively rainy 2018 may lead to a surge in the number of ticks capable of transmitting Lyme disease this spring, according to researchers at Rutgers University. More blacklegged ticks will be out in force as temperatures begin to rise after thriving last summer and fall, and surviving the winter thanks to favorable weather. Climate change, which has fostered warmer winters, has contributed to the higher numbers by allowing more ticks and their animal hosts to survive the colder months and spread out to regions that have not typically hosted the arachnid, according to the Centers for Disease Control and Prevention. As these ticks emerge, they are hungry and they are looking for something to feast upon. Don’t let that be you! Keep a vigilant eye out for ticks. Ticks are ready and waiting to hitchhike a ride, so the best way to stop them is to protect your yard from ticks and make sure you wear suitable clothing when venturing into a potential tick habitat. You want to make sure you do a thorough body check too once you come back inside. With Lyme-disease-carrying ticks an ever-growing concern, and disease-carrying ticks found in all 48 contiguous states, proper tick etiquette before and after any outdoor walk is important! With these foolproof steps, you’ll be fully ready to go out without fear. Be tick aware! They may seem tiny, but boy do they have an impact on your health should you be unfortunate enough to be bitten by an infected tick. Be safe people! The post Be Tick Aware! appeared first on Backyard Bug Patrol. Tagged Backyard Bug Patrol, Be Tick Aware! When you think of mosquito-borne disease, do you think of Malaria, Zika and West Nile virus? You would be forgiven if they are the only ones you can name. However, there are so many more to add to the list. There are many other infections that mosquitoes can transmit that many of us are not even aware of. Here’s an article that gives an insight into 18 possible diseases that you could be susceptible to from a mosquito bite. Five years ago, Bill Gates wrote in his blog that the deadliest animal in the world is the mosquito. When it comes to killing humans, no other animal even comes close. According to the World Health Organization, about 725,000 people are killed every year by mosquito-borne diseases. In an update of a post from 2015, I will go over 18 parasitic and viral infections that humans can contract from a mosquito bite. Each disease can have different symptoms. Some more severe than others. Some are even hard to detect in the first place. So we know that these infections are transmitted by mosquitoes, but exactly how does this happen? Mosquitoes can also carry more than one disease. So the same one, annoying mosquito, could potentially infect you with any of the diseases that it carries or even a number of different diseases. Can a mosquito transmit more than one disease? The mosquito species Aedes aegypti and Aedes albopictus carry dengue, chikungunya and Zika virus. In addition, Aedes aegypti also transmits yellow fever. Studies done in Gabon and India show that humans can be infected with chikungunya and dengue at the same time. Entomological studies confirming coinfection in mosquitoes are rare. The Gabon study found one mosquito specimen that was positive for both viruses, meaning that it is possible that the bite of a single mosquito could infect a person with 2 viruses at the same time. Are you protecting yourself from mosquitoes? Are you really taking the threat they pose to your health seriously? If not, it’s about time to take action because these killers mean business. There may only be around 18 diseases to name right now, but the list will keep growing and growing. Let’s do what we can to slow it down! The post The List of Mosquito-Borne Disease Continues To Grow appeared first on Backyard Bug Patrol.